A couple of weeks back, HTC announced the Desire EYE, a selfie-focussed Android smartphone during its Double Exposure event in New York. Yesterday, in its Delhi event, HTC has announced that the Desire EYE will be launched in India next month (November) but they have not revealed its pricing yet. 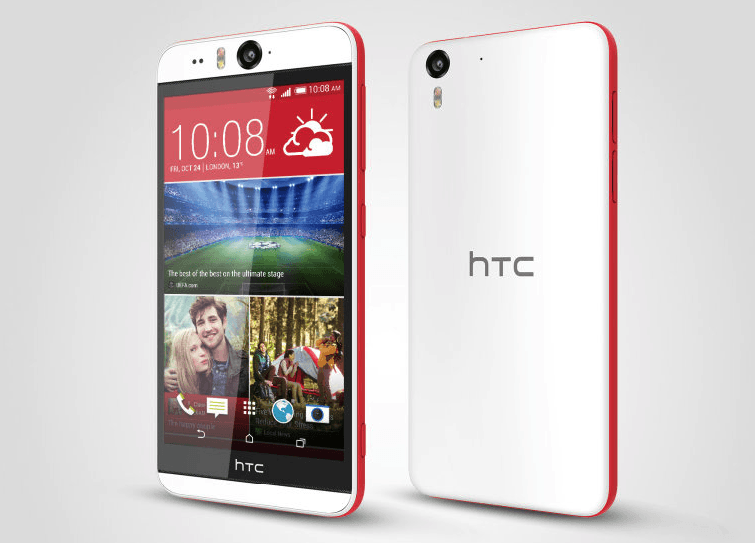 The HTC Desire EYE will be available exclusively through the e-retail giant, Amazon. For those who had missed the international launch event, the HTC Desire EYE features a 5.2-inch Full HD display, a Snapdragon 801 processor, 2GB of RAM, 16GB of internal storage space, and a microSD card slot. The highlight of the smartphone are its dual 13-megapixel camera sensors with autofocus and dual-LED true-tone flash, one on the front and the other on the back. Both the cameras can record 1080p videos. It also comes with various camera features which are dubbed as the ‘EYE Experience‘, using the front-facing camera to click interesting images. Should we wait for this phone or we should buy Xperia Z2 or LG Nexus 5 ?